Looking for a price on an outstanding new Ford automobile? Then you will be pleased to find out Stivers Ford Lincoln has what you need. No matter which automobile stands out to you, you can rest easy knowing the right Ford is waiting for you at Stivers Ford Lincoln. What makes this endeavor even better? Receiving an offer from Stivers Ford Lincoln not only ensures you have the chance to take advantage of pricing that is second to none, it is also a quick and painless operation that will never bog you down in hours of useless paperwork or seemingly endless phone conversations with aggressive salespeople angling to stress you into a rushed or hurried decision. 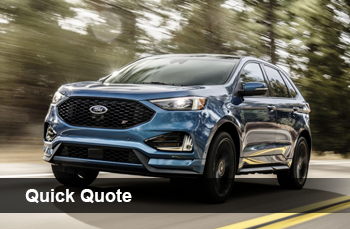 If this dealer environment is more in tune with what you want out of your search for the Ford vehicle that is right for you, then feel free to connect with the Stivers Ford Lincoln staff as we go into additional detail regarding how we develop quotes. From here, you should have everything you need to move forward with clarity and get started on the road that leads to the perfect car, truck, or sport utility vehicle (SUV) for your everyday regimen. A No-Hassle and Straightforward Experience – Even though other dealerships might use a new vehicle price estimate request to force you through a string of underhanded sales pitches and other belligerent tactics aimed at moving you toward a rapid acquisition, we instead emphasize a hassle-free dealership experience that comes with no obligations or strings attached on your end of the process. Personalized to Your Specific Needs – Each client has distinct constraints that affect both their spending budget and their shopping experience, so we make it a point to formulate customized quotes that consider each and every bit of information and insight pertinent to your distinct situation. Financing Options Developed by Qualified Ford Experts – Only seasoned Ford financing experts with years of experience and training are allowed to carry out the actual procedure of designing a personalized new automobile quote for you. Your Privacy Matters to Stivers Ford Lincoln – Once you have worked your way through the fast and straightforward new automobile quote form we have offered up on this page, you can take confidence in the fact that your sensitive data is treated with the care, consideration, and confidentiality required to guarantee you are never placed into a compromising situation in the online world. Now that you have peered into our extraordinary approach, you most likely can take at least one thing to the bank: Stivers Ford Lincoln is ready and willing to do whatever is required to guarantee it always has the most trustworthy, cost-effective, and consumer-friendly new vehicle price quote approach in the auto marketplace. As extraordinary as offering up the best possible new automobile estimate for each customer is, the team from Stivers Ford Lincoln also refuses to be undersold. Improbable as this occurrence might be, considering how intent we are to giving you the best estimate possible, there is a remote chance this could happen as you search for the right automobile for you and your family. If you find yourself in this situation and encounter a competing car dealership that offers a better price on the car garnering your attention, do not hesitate to bring it to our attention immediately, so we can get the ball rolling on correcting this issue. Once you have brought this issue to our attention, the staff of trustworthy auto specialists found here at Stivers Ford Lincoln will do everything in their power to not just meet this price, but also offer up a suggested vehicle price point that brings even more advantages to you. The best part about our pledge to you? Each and every automobile found within our inventory is subject to this steadfast commitment to your satisfaction, so you can browse with confidence knowing the most worthwhile quote for you will always be found at Stivers Ford Lincoln. Naturally, taking this customer-centric approach to new car price quotes is far from the industry norm. However, when it comes to your fulfillment and providing prospective car buyers around Waukee with the best price possible, nothing but the best is acceptable for intrigued customers who bring their business to our convenient location near Des Moines. Can Stivers Ford Lincoln Supply Me with a Wonderful Quote on the Ford Automobile of My Dreams? Now that you are up to speed with everything that goes into the new automobile price estimate process here at Stivers Ford Lincoln, there is really only one thing left to tackle: How you can enjoy all of the rewards that come with receiving a new automobile quote from the professional Ford staff members here at Stivers Ford Lincoln. To get things going on this front, simply take a couple of seconds out of your day to fill out the form shown on this page. After your information has been provided, one of our dedicated professionals will get started on creating the best possible quote and return this deal to you as soon as possible. As always, we appreciate you stopping by the Stivers Ford Lincoln site. Should you have any other concerns, go ahead and connect with our trained team via 800-747-2744 or stop by in-person to find out a little more about why so many of the people in the Waukee and Des Moines region are driving right pass the competition and coming to Stivers Ford Lincoln for their new car buying needs.